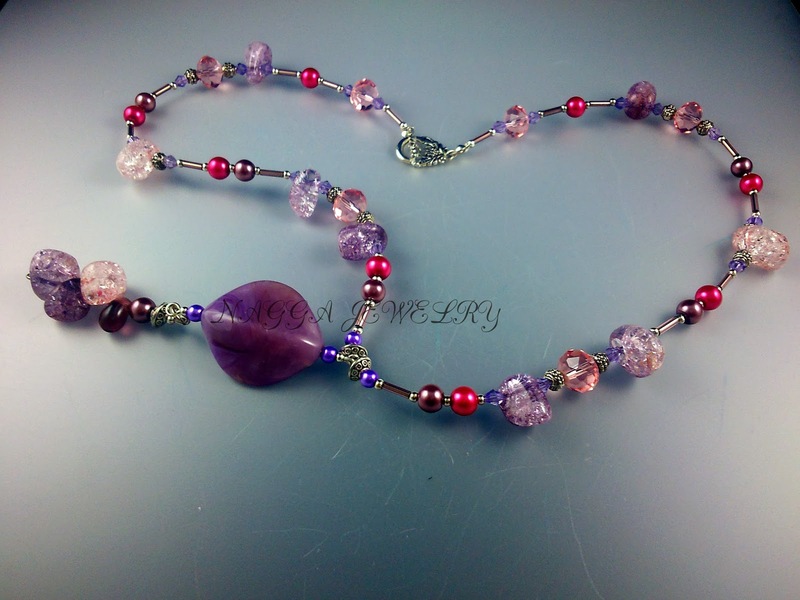 This necklace is an ideal accessory for dresses,V-neck tops . 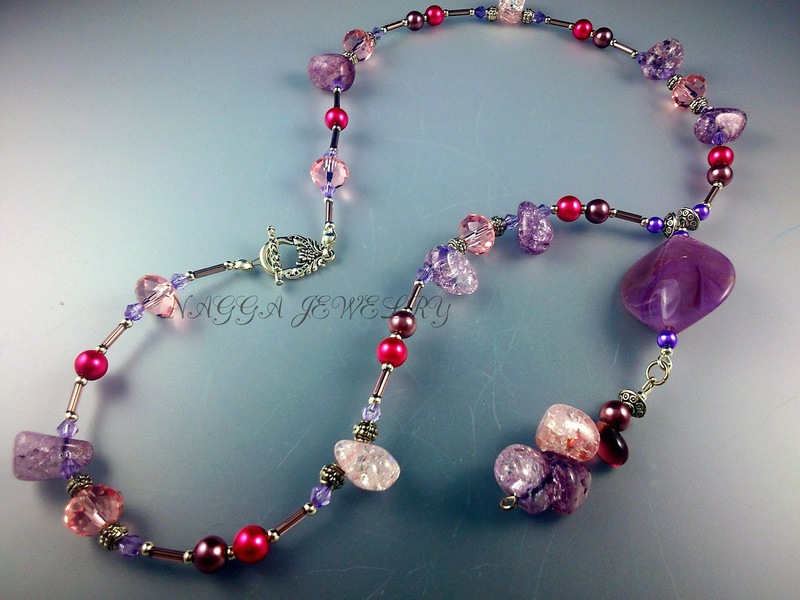 It is made with combination of purple and soft pink crackle crystal nuggets,soft pink crystals, purple bicone beads,pink and brown glass pearls,a large purple plastic bead,tibetan silver spacer beads, a tibetan silver toggle clasp. 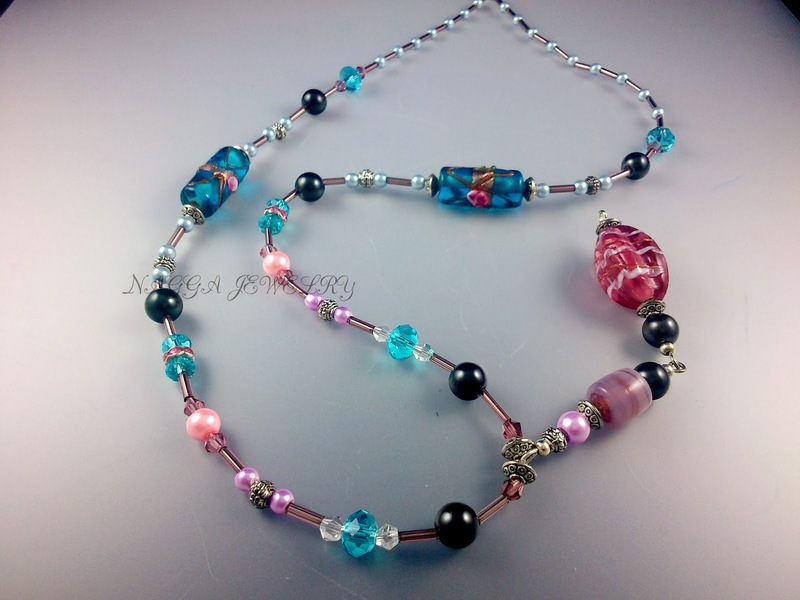 You will receive our special handmade Nagga Design Shop gift bag with each piece for free.